A reader informed us Tuesday morning that there were shots fired at the 900 block of Leland around 2:45a.m. According to the police report, a 22-year-old man in a car was driving west on Leland toward Sheridan when he was shot multiple times. The shots came from another car that pulled up next to the car he was driving. 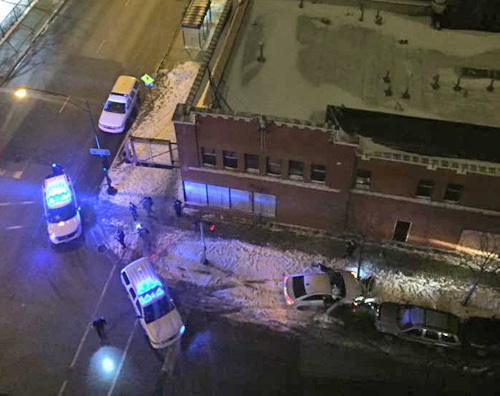 According to our witness, "A white car smashed into parked vehicles at the southwest corner of Leland and Sheridan." The victim was hit several times and was taken to Illinois Masonic, where he was in stable condition. Police say he is a documented gang member. At last week's CAPS meeting for Beat 1914, the area in which this shooting occurred, the officers said that the gangs' M.O. is changing. According to the CAPS officers, there used to be indications on the street when there were gang tensions, which made it easier for the police to know violence might be imminent. Now the gangs have taken to shooting one another in and from vehicles. It seems that this new way of trying to kill each other over who-knows-what was borne out today. The gang life is a sad way to live, and we hate to see our community being used as the background for it. Update: The photo above was taken by a reader, who says, "One of the cars drove into a tree on the sidewalk and the two jumped out and ran off. I know one of the guys was found in Eastwood tower." 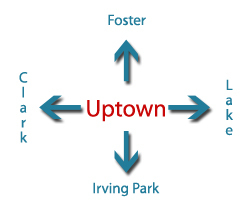 Is this a personal website, or is this a news forum for uptown? Just trying to clarify the "we" so I know what I'm getting into when I reach here trying to fins news about my community. Folks need to stop ignoring the -fact- that the subsidized housing in Uptown and Rogers Park serve as the gang incubators. As implemented, the scattered site housing experiment is metastasizing violence across the city. Thats not being racist, but admitting the reality of the failure. The real criminality though, is on the folks who are behind the nonprofits which willfully turn a blind eye to the problem while raking in all that tax funded and tax free $$$$$. @Sid: You have to put pressure on the aldermen. Generally if the gang member/criminal is associated with a particular "apartment" then that person is evicted. In other words, if he gives his mom's address then the mom is evicted. But these guys have gotten really smart, and they give any address. They don't have ID. Sometimes they "buy" houses if they have the money or a front person. 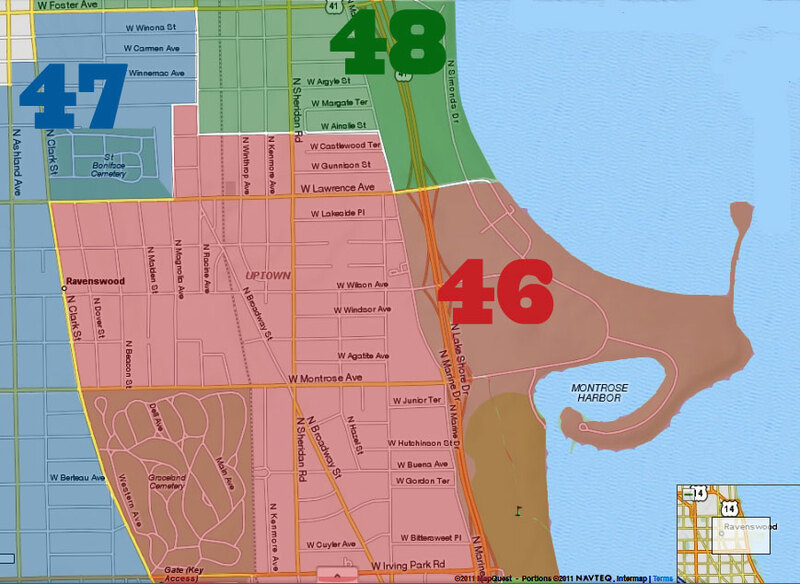 The alderman has to be diligent and there has to be a Landlord's Watch like they have in Edgewater. What's sad is that good people are moving out of the city. Come the next census, I think you'll see a big drop in the population. "@Sid: You have to put pressure on the aldermen. Generally if the gang member/criminal is associated with a particular "apartment" then that person is evicted." The Alderman appear powerless to stop the open criminality, even when they are well aware of it. In one case that I saw, Cappleman would talk openly to 'bangers running a crack operation that operated -openly- for months. To be fair, it was shut down and the tenants evicted...But only after many months. When tenants are -openly- harboring known criminals, and when these properties are -again openly- being used as "trap houses"...And nothing is being done to stop it for months and even years...Then that points to the amount of clout these "non" profits wield. After all, they are sitting on real estate portfolios worth billions. Time for some RICO investigations is what I see.